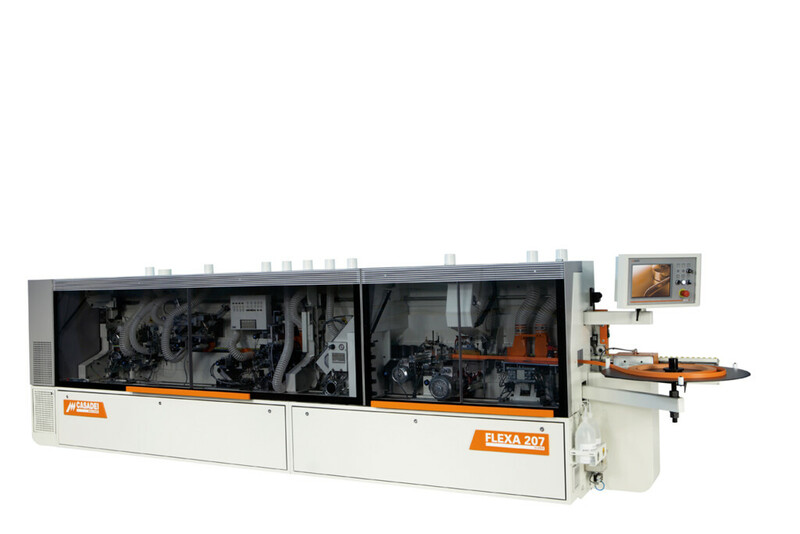 Flexibility: the configurations and options available, the possibility of gluing up to 12x60 mm and the high feed speed make the Flexa 207 Super a machine without compromise. The MEGA 300 numerical control, supplied as standard, controls all machine functions and allows positioning of the working units with sequential start up of the motors according to the working program selected. 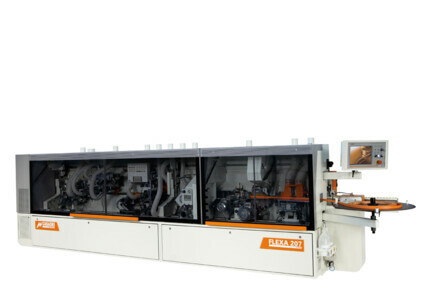 Reliability: the machine's solid structure, the sturdiness of the working units, thorough designing and mechanical precision and assembly, guarantee flawless panel edgebanding under any working condition.